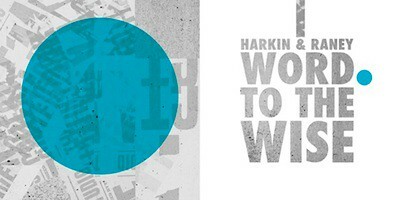 'Word to the Wise' is the debut EP from Harkin & Raney on The Rapture and James Friedman's Throne of Blood imprint. Harkin you know, of course, as Mister Saturday Night's very own Eamon Harkin; and Raney is Steve Raney aka Oneauff, his production partner and good pal who hails from North Carolina but is now firmly ensconced in Brooklyn, where the duo have tirelessly been working away on original material and remixes. The four track EP features two original numbers and and interpretation of each track from label mates Populette and Justin Carter-collaborator Master Khan, evoking elements of Detroit, Chicago, New York with a dash of London and Berlin for good measure. The duo have already turned in well received remixes for Neurotic Drum Band and Populette and have a number of pieces in the works which should see the light of day in the not too distant future. Xlr8r, Resident Advisor and Time Out New York had some nice words to say about the EP should you want to learn a little more. Pick up the wax at all good record stores and the digital over at Beatport.